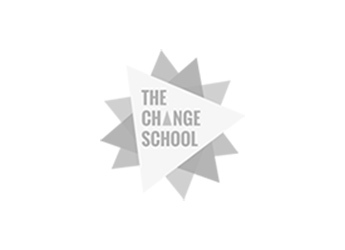 The Change School Change Ventures 2014 - Final Week! It’s the final week at Change Ventures - time to Take Action! This week is all about implementing the tools, habits, plans, ideas and perspectives cultivated over the last two weeks. We’ve ensured a light agenda over the remaining days, for students to refine and present their action plans, roadmaps, one page strategy and business models. We also asked them to lead the Daily Check-Ins this week. The students spent the day working at Bali’s co working spaces, Hubud and Salty Volt. Per the students' request, we asked Tom Huges to come back and lead an interactive session on social media management. Many of the students spent the rest of the day exploring the various social media channels and tools best suited to their business/personal brand and objectives. We had our last Inspirational Talk by Tara Hirebet from Contagious Communications today, to cover urban innovation trends and insights, integrated marketing strategies and customer engagement. Later in the day, we set off for Uluwatu for sunset drinks at Single Fin and a long-awaited seafood dinner by the water. The students really enjoyed working out of the co working spaces they visited and participated in the various startup and creative entrepreneur events that were happening. It was great to hear the connections, conversations and opportunities that excited them. Tara’s talk gave us a refreshing perspective and approach to brand marketing by drawing analogous parallels from the way we develop personal/romantic relationships and how we can engage loyal customers in a meaningful and authentic way. The peer-to-peer feedback sessions proved to be an important activity for the students, sealing the bond and friendships made over 21 days together. We observed heartfelt tears, belly laughs and big bear hugs all around. As with all things, knowing your WHY is the critical first step to utilising social media as a tool for engaging communities and customers. Knowing where your customers are, what they’re interested in, and the triggers that influence their behaviour will determine the effectiveness of your social media activities. Gone are the days of hard selling and traditional advertising. Today’s customers remain loyal to brands that speak to their values, beliefs and cause. From our experience with establishing and developing lasting personal relationships, we understand the importance of first impressions, trust, and sincerity. These factors are equally important for engaging and sustaining loyal customers. Giving honest and constructive feedback is not always easy but it is a valuable exercise for understanding how our behaviour, personality and perceptions of others influence our interactions and relationships. Clavin: You can’t just turn on creativity like a faucet you have to be in the right mood Hobbes: What mood is that?